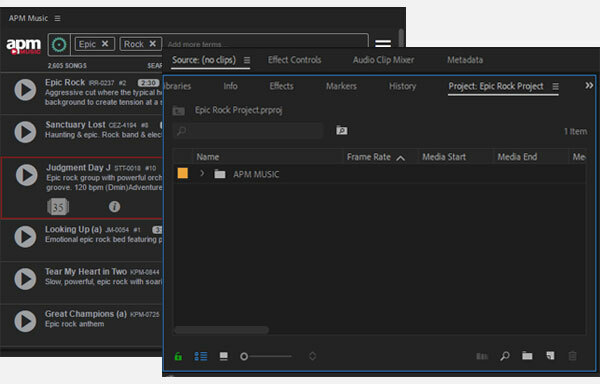 APM Music - APM Adobe Premiere Extension Has a New Look! 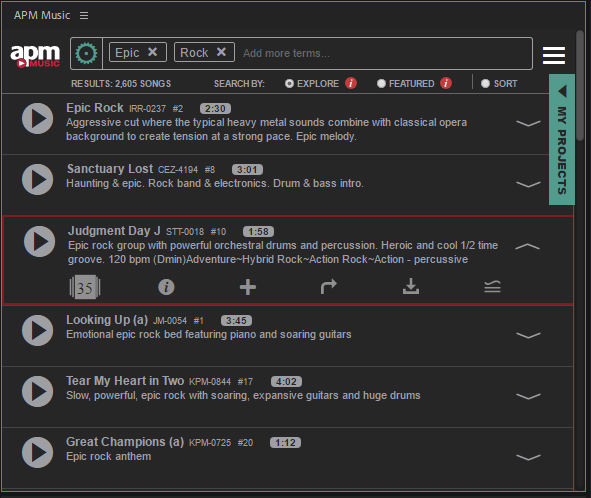 We’re thrilled to bring you a sleek new look to our Adobe Premiere Extension along with new functionality to streamline your workflow! 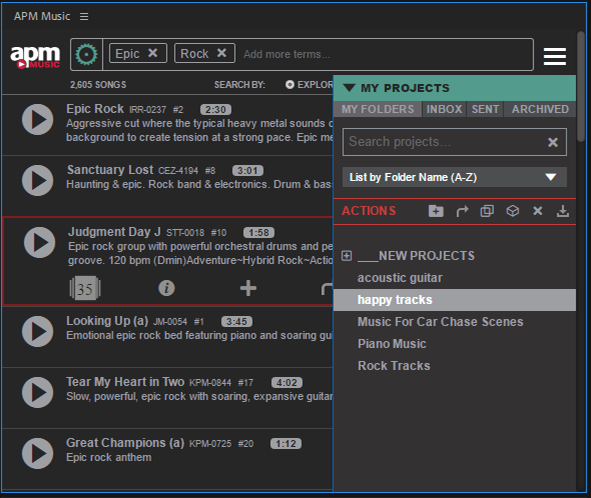 Use our powerful search engine directly from within Adobe Premiere. Find the perfect tracks for your project. 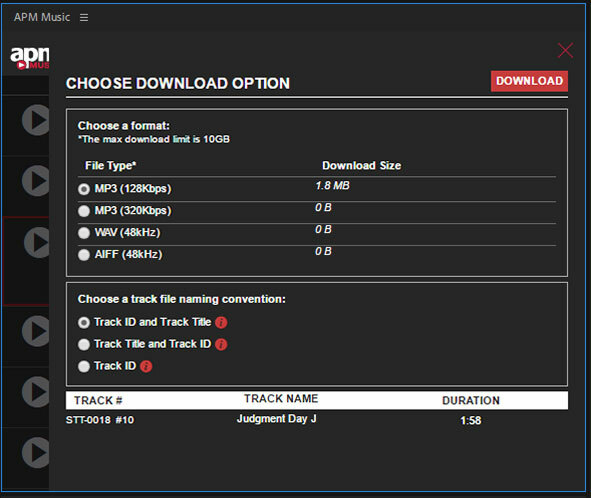 Download tracks directly into your active Adobe Premiere project. Full project downloads into active Adobe Premiere project bin.